Pace University student Sydney Tisch ’20 at UN headquarters in New York City. 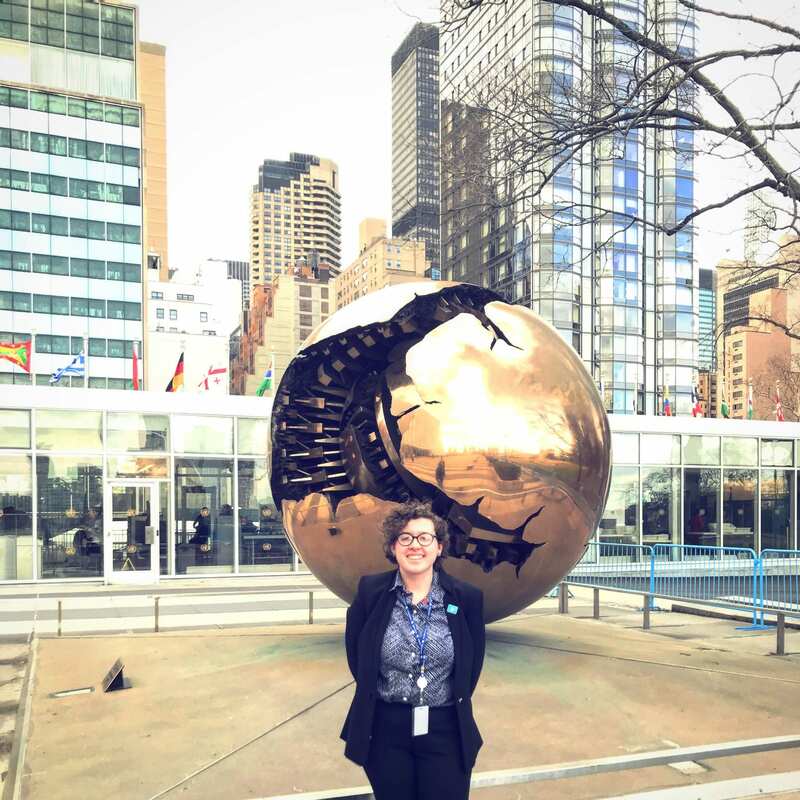 The following reflection is from Sydney Tisch ’20, a Pace University undergraduate who participated in the POL297L Global Politics of Disarmament and Arms Control class in Fall 2018. Students were given with service learning assignments with disarmament advocacy organizations working in and around the UN General Assembly First Committee (International Security and Disarmament). For more on the class, click here. When I was placed with Reaching Critical Will (RCW) for my service learning assignment, I was thrilled. Not only are RCW part of the oldest women’s peace organization in the world – the Women’s International League of Freedom (WILPF), but I was already familiar with the organization as a resource for everything related to disarmament and the UN. I had used their website and digital archive of statements made in First Committee for projects in previous courses and I was excited to be assisting in the continuance of this vital source of information for activists, NGOs, and member states alike. However, despite my enthusiasm, little could have prepared me for the realities of the hard work and focus that was required of such intense monitoring and, in my case, note-taking.